Back when I was actively playing football, I had to travel from Manila to Subic to play in beach football tournaments. While it was fun to get out of the city with the team, it eventually got harder over the years to field a team due to the expenses and time involved to participate in out of town tournaments. 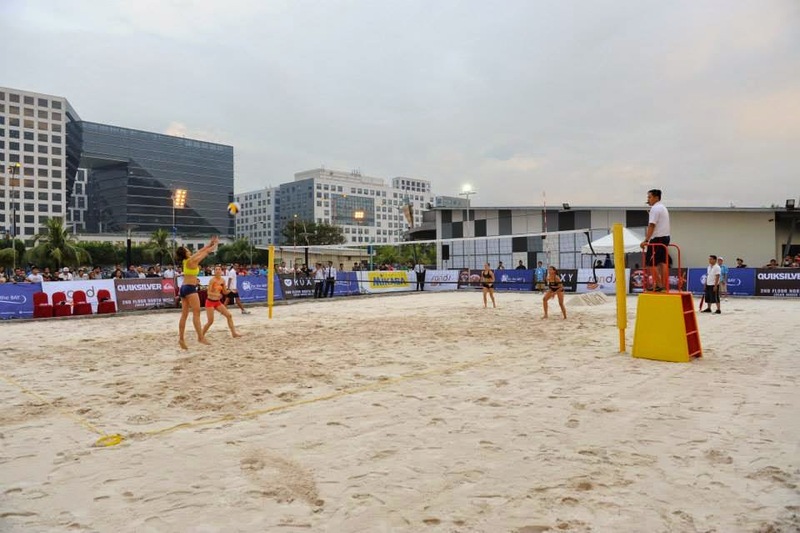 Which is why I am very pleased to share about the launch of Sands at SM by the Bay which would pave the way to beach tournaments within the city. 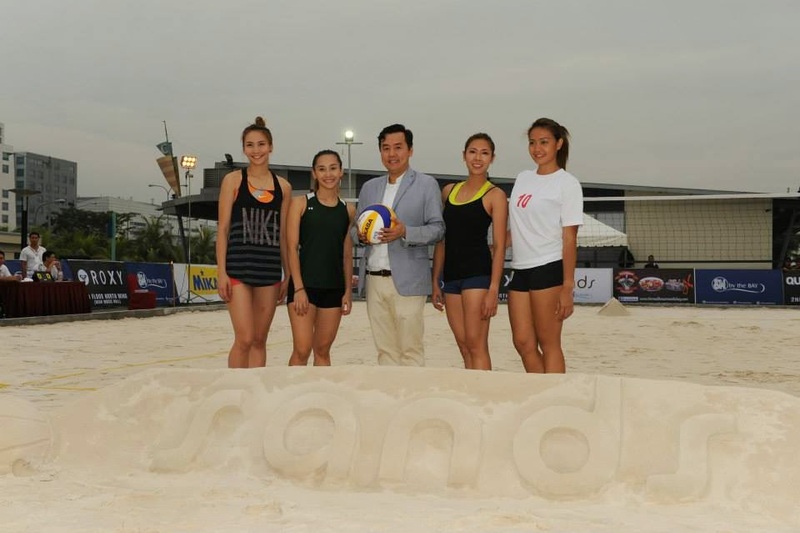 Sands at SM by the BAY is the only beach-themed, multi-purpose, outdoor sand court in the city. 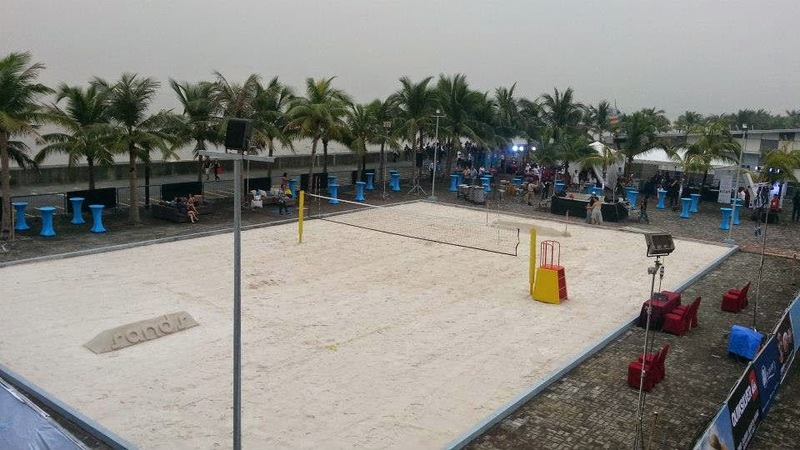 With an impressive and spacious court area measuring 28x18 meters, Sands is an ideal facility for outdoor sports such as beach volleyball, beach tennis, football and sepak takraw. Sands in also the perfect venue for product launches and beach-themed parties without the hassle of travelling outside the city. At the launch were former DLSU Lady Spikers and now professional volleyball league players Melissa Gohing, Michelle Datuin, Petron Beach Volleyball Champion, Aileen Abuel , and former Shakey’s V-League MVP and now Super Liga pro player Rachel Ann Daquis. Joining this roster of local personalities were trade partners and heads of sports and lifestyle brands, as well as friends from the media. To complete the beach vibe, the event was capped off by vibrant performances by fire dancers and percussionists set against the Manila Bay sunset. The event was made possible with the support of Roxy, Quicksilver, Mikasa, The Lab Gastropub, Oceana and The Roadhouse Manila Bay. *All photos used in this post are from Sands at SM by the Bay. More pictures can be viewed at their FB page - SANDS at SM by the BAY.